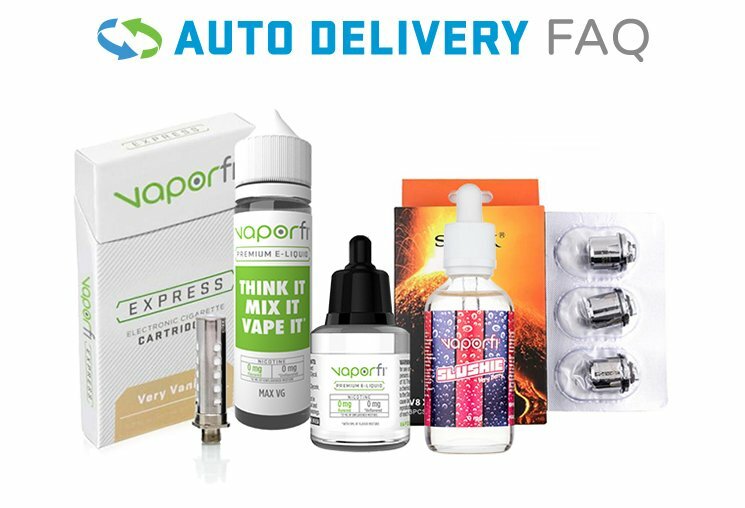 VaporFi - you already know and love us for our in-house product line - is proud to expand our offerings to include all major vape brands in the e-cigarette industry. As part of that expansion, we’re happy to include long-time technology whiz kids Joyetech. Ensuring the everyday vaper had a great, reliable vape, Joyetech vaporizers were a staple of early vaping. They quickly expanded their horizons as the vaping arms race exploded, shifting focus to developing new technologies, but Joyetech has never lost their passion for providing the best vape pens. The company is constantly innovating, and a lot of the advances seen in the vape industry can be credited at least in part to Joyetech’s commitment to never being happy or settling for their present successes. Get to know Joyetech with us and browse our huge selection of all the newest VaporFi Joyetech vape pens and vape mods with the comfort that comes with our amazing deals and a low-price guarantee! Established in 2008, Joyetech began as a manufacturer and distributor of reliable ego-style pens, popular at the time for anyone looking to break into the vaping scene without much of a learning curve. They continued to improve on this design, making them big players in the emerging variable voltage movement. Taking this a step further, and cementing their mission of being at the forefront of vape technology, they introduced one of the most famous Joyetech vape pens - the eVic. Like nothing else available for sale at the time, the eVic earned Joyetech a reputation as the “Apple of e-cigs”. It was an innovative and reliable product that was sure to turn heads with its smooth silver and black design and an embedded display - a rarity back then. The eVic had a companion app that would allow you to interface with your Joyetech vape pen through your computer. This was only the beginning for Joyetech. With Joyetech USA launching in 2013, they were determined to improve their supply chain and continue providing reliable products and service to their local dealers and consumers based in the U.S.
Joyetech continued the trend of producing some of the best vaporizers on the market and is considered one of the premier brands for vaping or e-cigarettes. Unlike the Apple of today, they did not lose their sense of innovation with growth but seemingly doubled down on their research and development of new products. With every new pen, mod or atomizer they’ve introduced, it seems like each one is designed from the ground up with vapers’ needs and wants at top of mind throughout the entire process. They are not afraid to break with the mold and rarely take inspiration from elsewhere, as seen with mods like the Dolphin that completely break with tradition and place vaping convenience and build quality at the forefront. The ergonomic design looks like nothing else available, and this commitment to innovation has helped keep them as one of the top brands. Even their more traditionally shaped mods are packed with groundbreaking features that are sure to impress even the most technologically adept vaper. Joyetech is great for vapers of almost all experience levels. Advanced technology makes use of intuitive UIs to streamline the settings of your vape and learn interesting tidbits about your own vaping style by analyzing puff counters and average draw time. This can help you adjust the temperature of your vape to more closely match your preferred draw, or inhale, time. Some great examples include products like their Cuboid and Cubis mods that utilize a more traditional, albeit more convenient, rectangular form factor. We hope you are as impressed with Joyetech as we are - and we invite you to check out their full lineup of products. With options for everyone from their modern ego-style pens to advanced box mods, you won’t have to worry about finding the right vape setup for you. A brand new Joyetech device is sure to cause some mod envy in your local vape circles. Each product page has a detailed description of device specs, and customer reviews are there to help you find out more about the daily operation of the units and how they vape. Just in case you’re not fully convinced that you’re making the right investment, our VaporFi promise is one of the best in the business. We’ve thought of everything and developed our customer service policies around your needs as a vaper. A generous 30-day return policy ensures that you’re happy with the device or tank you purchase, giving you a full month to assess the vape in your daily life. Assuming you are happy with your purchase, our 90-day manufacturing warranty is in place to protect you from any defects during your first three months. Check out all of our Joyetech devices now!